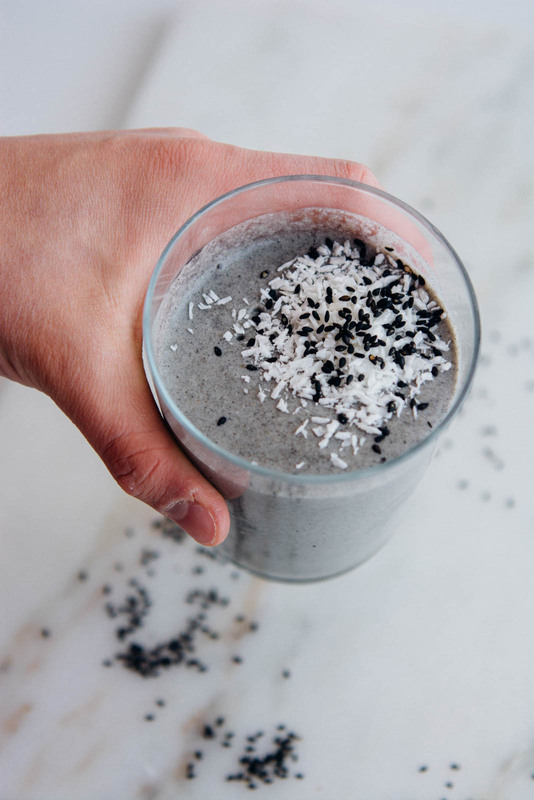 This black sesame coconut smoothie has skyrocketed to the top of my favorites list. 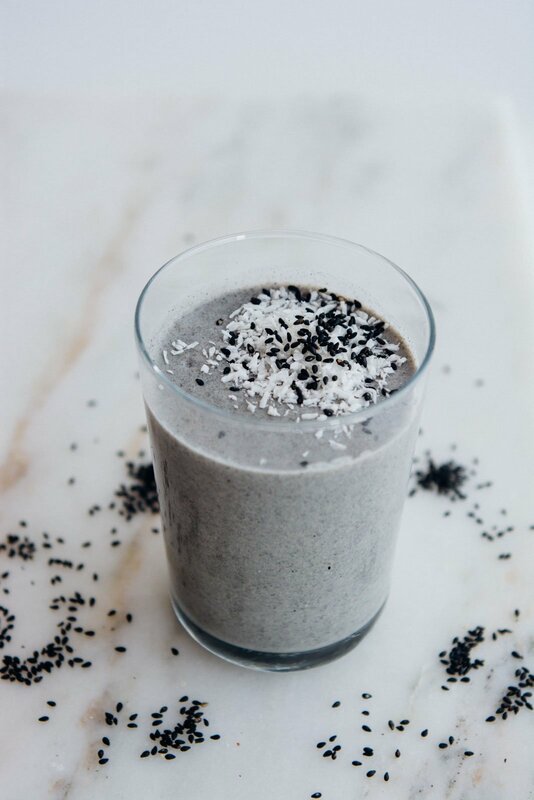 Have you ever tried black sesame butter? I baked a cake a few years back with ground black sesame seeds, and while it was a bit of a messy disaster, I loved the way it tasted. The flavor is complex, rich and nutty, especially when toasted. The color can be a bit off-putting, I realize that most people aren’t excited about gray food, but I think it’s quite striking. 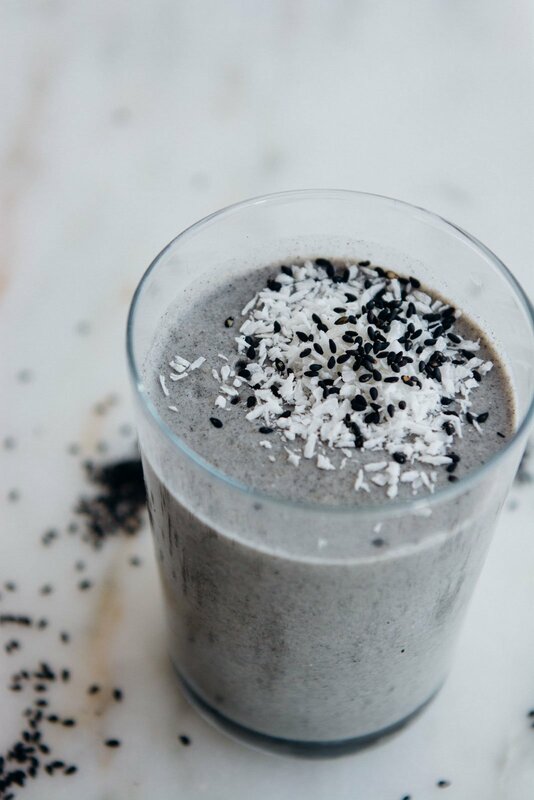 The only trick to this smoothie is to toast the seeds and grind them a bit before adding them to your blender. 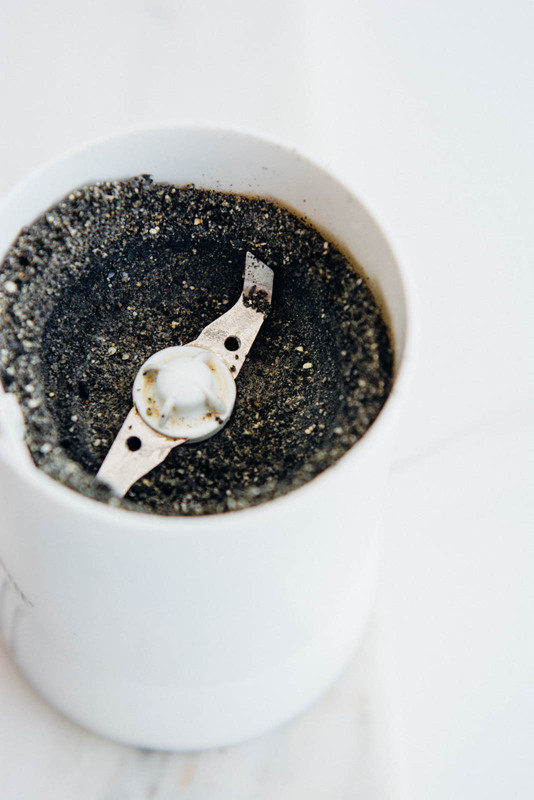 I like to make a cup at a time, grind them in my spice grinder and store them in the refrigerator so I can make one of these any time the mood strikes me. 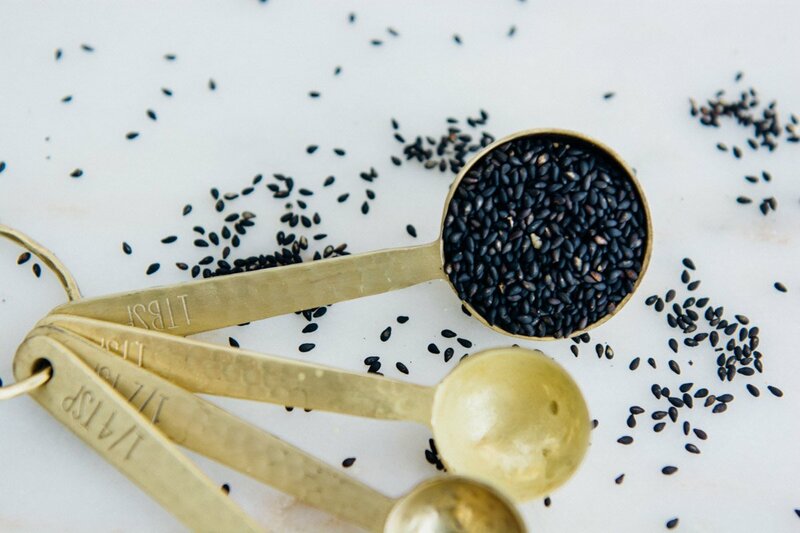 You can usually find black sesame seeds in the Asian section of your supermarket or online. We are still snowbound but managed to walk to the grocery because we are alarmingly low on avocados. In a dairy-free household, that is absolutely unacceptable. The break has given me lots of time to dream up new recipes and work on my photography. 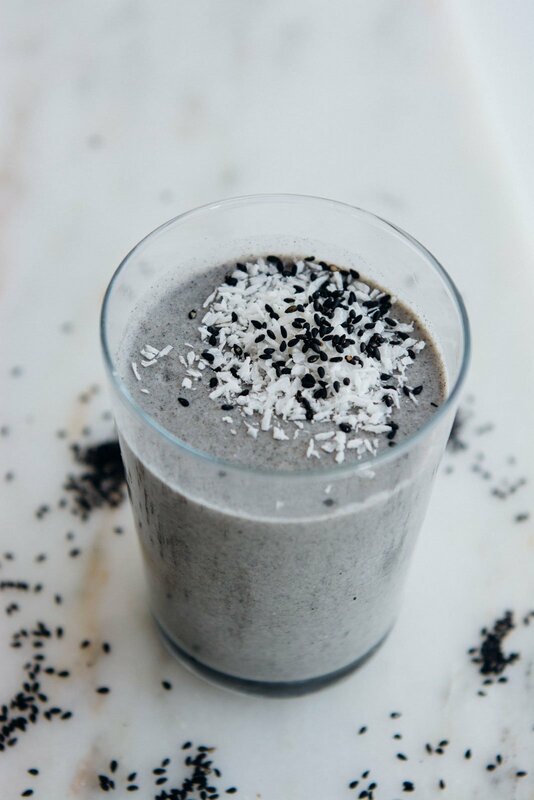 The next time you are in the mood to try something a little bit different in your morning smoothie I hope you give this black sesame coconut smoothie a try! 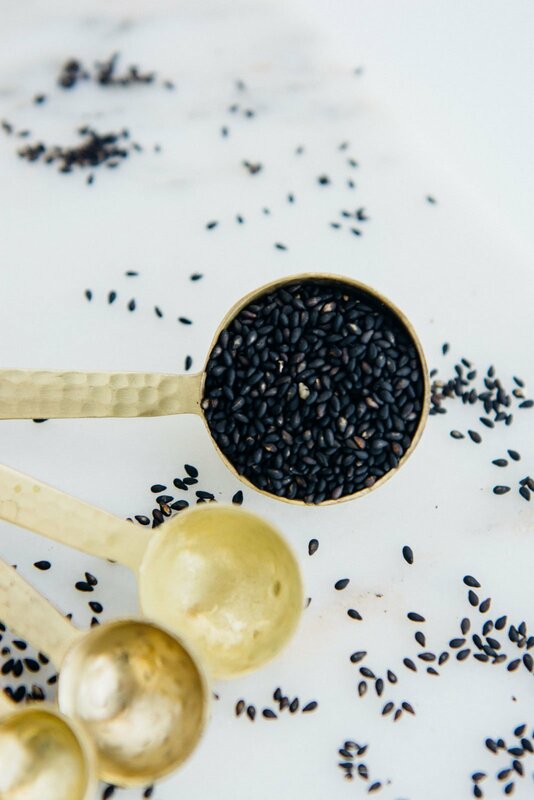 Black sesame paste can be made in a spice grinder, with a mortar and pestle or in a food processor. 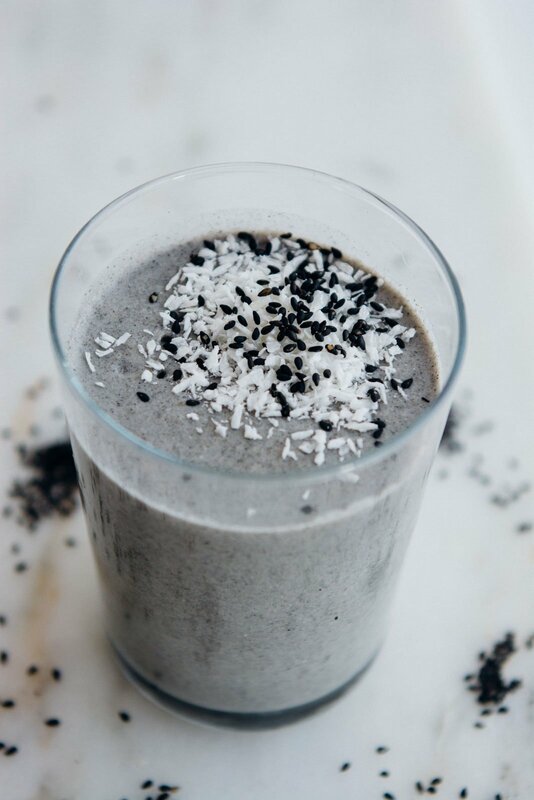 It adds a wonderful nutty flavor to your morning smoothie! 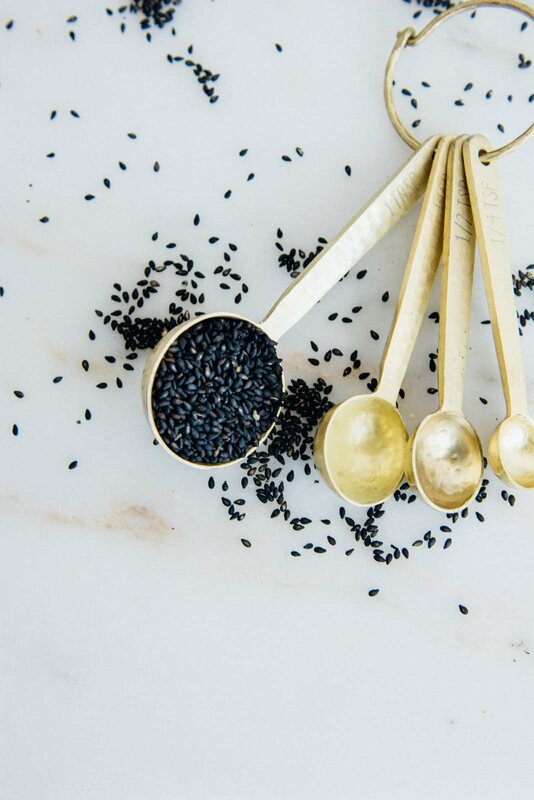 Lightly toast the sesame seeds in a small skillet over medium heat until fragrant. Watch carefully, it's easy to burn them since you can't judge by the color. 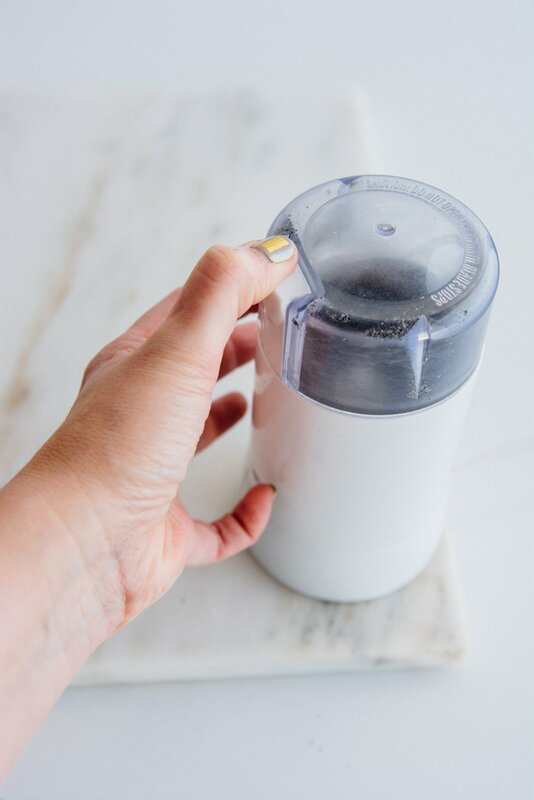 Transfer the sesame seeds to a spice grinder, mortar and pestle, or small food processor and process until finely ground. You are looking for the texture of wet sand. 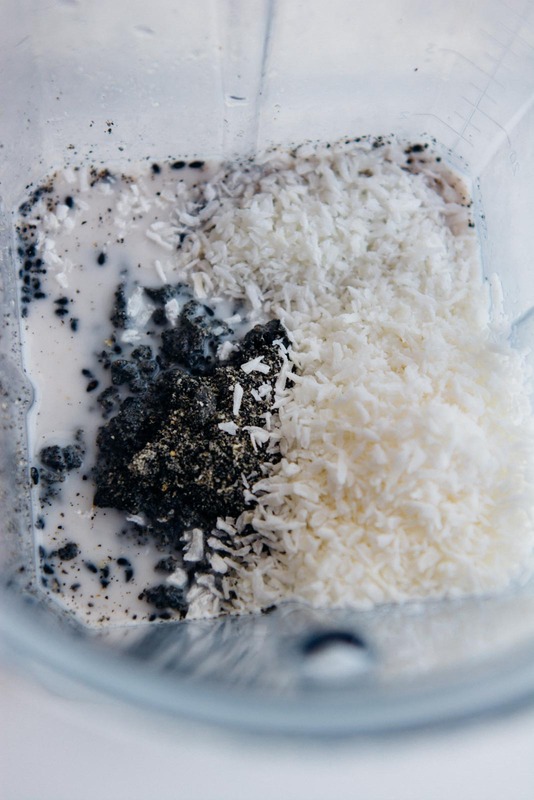 Add all the ingredients to a high-speed blender and process until smooth. 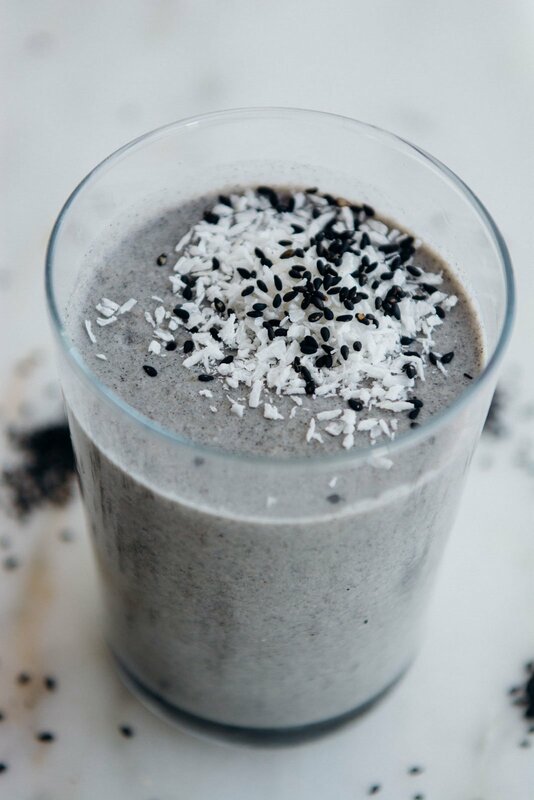 Garnish with additional coconut and black sesame seeds.